We are continuing our series on affordable classic coins with one of the most popular series in America. 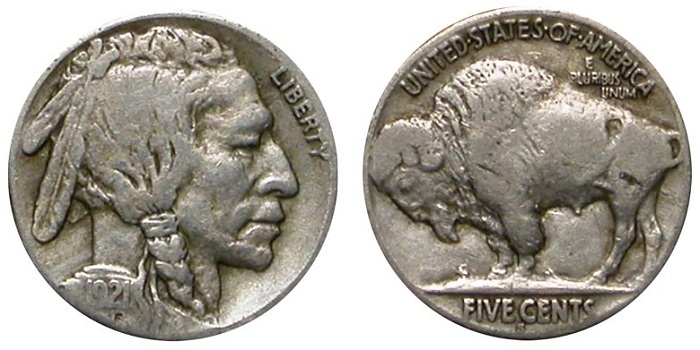 The Buffalo nickel was struck from 1913 to 1938 and is considered an iconic series of American coinage. Many people will have seen one or more of this coin, often dateless (the date will wear off first), and collectors both beginning and advanced enjoy putting sets of these issues together. Many dates are scarce in all grades, while others are affordable at most grade levels, and a complete set is an impressive feat regardless of grade. In this article we will take a look at five different dates or varieties that are generally available for less than $100 and which are particularly interesting because of their story or scarcity. The denomination tended to wear off quick in circulation, so the design was altered later in 1913 with a more “sunken” design and the animal standing on a straight mound. The first design is considered a separate type coin and is an excellent introduction to the series, with Type I coins struck at either the Philadelphia or Denver Mint selling for about $100 in MS-64. Spend a little more: MS-65 graded examples of the Philadelphia issue are always in demand for type set collectors but don’t cost all that much more, with a PCGS-graded example selling for around $160-$175. Even MS-66’s aren’t incredibly expensive, and can generally be found for less than $250. While higher graded examples do exist, the price increases exponentially in higher grades, making an MS-65 or MS-66 Type I Buffalo nickel a coin of excellent value for the collector. The 1921-S is a curious coin. 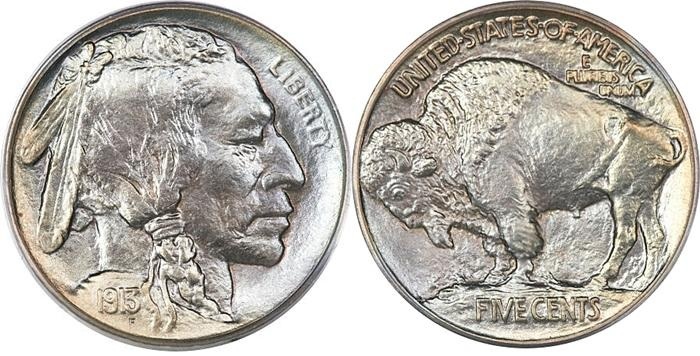 While it does not have the lowest mintage of the series (just over 1.5 million pieces were struck) it is generally considered to be the scarcest Buffalo nickel in circulated grades, and Uncirculated coins are rare. Still, with some searching, a collector on a budget would certainly be able to find a VG for around $100. With Uncirculated examples selling for over $1500 and Gem Uncirculated examples of this date often selling for around $7500, this seems like a decent value, particularly when you consider how difficult even low grades are to find. Apparently many of this date were lost or destroyed, and collectors will often discover that this date is one of the last needed to complete a Buffalo nickel collection. Spend a little more: There’s really not much to add here, unfortunately, as prices for this coin increase exponentially with every increase in grade. With searching, a collector would perhaps be able to find a Fine for about $150, but even a VF example of this semi key-date will often sell for over $300 whenever it comes up for sale. The 1926-S, another Buffalo nickel from the San Francisco Mint, is particularly interesting, as it has the lowest mintage of any circulation-strike Buffalo nickel. 970,000 coins were produced and though it is a major rarity in Uncirculated grades, it is actually more available in lower grades (such as VG or Fine) than the 1921-S we discussed above. A collector on a budget should have no problem finding an original, problem-free Fine for less than $100. For whatever reason, coins of this date seem to have survived in larger numbers than the 1921-S, making this low-mintage Buffalo nickel within reach for many collectors. Spend a little more: Even though this date is generally available in circulated grades, it becomes a lot tougher to find in VF or better. With low-end VF’s regularly selling for $200 or more, there’s certainly the option to upgrade this date to an example in better condition, but personally I would recommend finding a premium quality Fine instead of a mediocre VF. 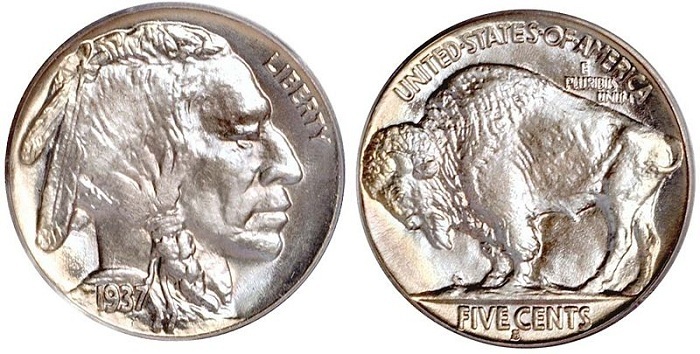 There are several noteworthy varieties in the Buffalo nickel series. 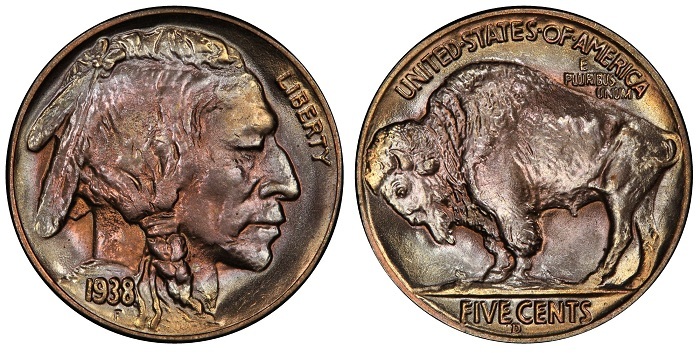 Two of these are well-known rarities that will cost thousands of dollars even in low or damaged grades (the 1916 Doubled Die and the 1918/7-D), while another is more available but still expensive (the 1937-D Three-Legged Buffalo). One variety that is affordable, however, is the 1938-D/S. Not discovered until the early 1960s, it seems that multiple reverse dies destined for the San Francisco Mint (thus showing the “S” mint mark) ended up at the Denver Mint (the San Francisco mint did not strike Buffalo Nickels in 1938), and where subsequently overpunched with a “D” mint mark. A popular variety, it remains relatively affordable, with an MS-64 selling for about $85. Coins on which the overpunched mint mark is particularly strong often sell for a premium, but even those coins remain affordable. Spend a little more: Even a Gem Uncirculated example with a clear overpunched mint mark will rarely set you back more than $125, with early die states occasionally selling for a little more than that. Please note that there is also a 1938-D/D variety known, which sells for less, so make sure that a coin that is advertised as a 1938-D/S is really an overpunched mint mark, and not just a re-punched mint mark, as dealers will make mistakes on occasion. If you just want a single Buffalo nickel in high grade to show to your friends or family (or for your own personal enjoyment), an MS-66 would make an excellent addition to your collection. Several dates in the late 1930s, such as the 1937, 1937-D, or 1938-D, can easily be found in MS-66 condition for well under $100. Try finding an early strike of this ideal type coin that shows full detail on the Indian’s feathers and the central part of the reverse. Often these coins will come with light pastel toning, which combined with a sharp strike make for an excellent representation of this iconic coin. Spend a little more: Demand for MS-67’s is always high, and this is one of those types of coins where an MS-66 can easily be found, but an MS-67 is a lot more difficult to track down. The 1938-D is a collector’s best bet, and with some searching you should be able to find a nice MS-67 of that date for less than $200.